If you are in charge of handling terminations in your company, you may be asked to compose a letter of dismissal. This letter will serve as the official notice of termination. 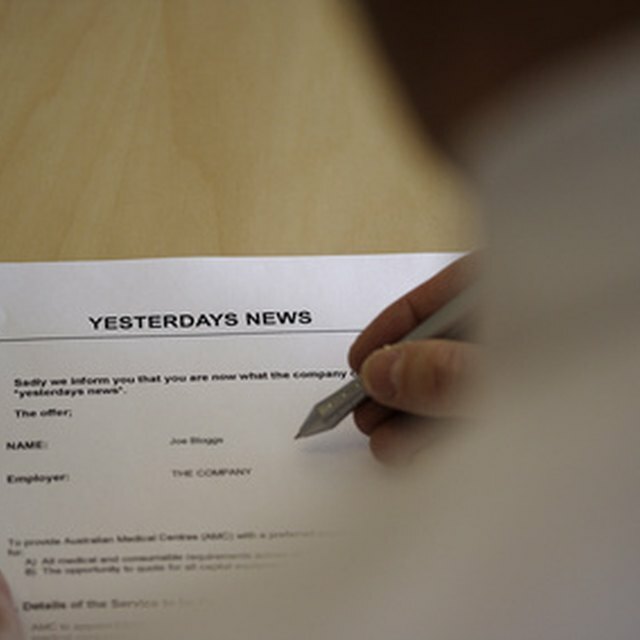 A letter of dismissal informs the terminated employee that he or she is terminated, including the effective date of the termination and the reasons for the company’s decision to end their employment. According to Legal Zoom, dismissal letters should be as specific as possible. Letters of dismissal are official letters that need to be written professionally. At the top of the letter should be the employee’s name, address and the date the letter was composed. The body of the letter should contain information to support the employee’s termination. Letters should be signed by the writer. If there are follow-up actions that the employee must take, such as to collect severance pay or cancel their health insurance with the company, this information should be included in the letter.